First off, excellent movie. Secondly, the reasoning behind this post is that I stumbled upon an extremely interesting article written by Mark Manson, titled How Your Insecurity is Bought and Sold, that I think you should check out. It is a (quickly read…I promise) history lesson behind how the world of advertising was changed during the early 20th century when a man by the name of Edward Bernays entered the scene. Bernays was, interestingly enough, the nephew of Sigmund Freud. His advertising theories and methods started in the tobacco industry (convincing women to start smoking!) and quickly permeated throughout every aspect of advertising as we know it today. While the article obviously doesn’t mention Fight Club, I couldn’t help but think about the movie the entire time I was reading it. 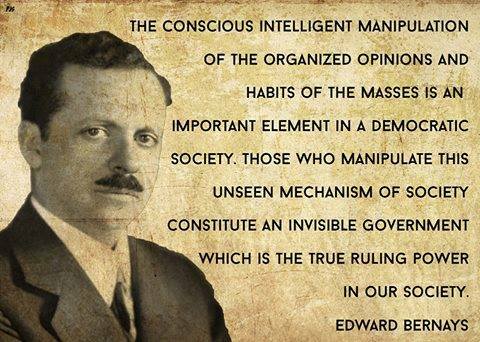 Bernays was obviously a shady character. However, love or hate his beliefs and methods, he was also, without question, a genius at what he did. Please go check out the article and let me know what it’s got you thinking about in the comments below. ← Saving Money with MORE Credit Card Debt? The quote ‘marketing IS the message,’ reminded me of another article I saw describing marketing AS the product. I found it interesting at first, and convinced by the end. The tobacco example is interesting. There is a similar marketing story told in The Power of Habit by Charles Duhigg. His example is how nobody brushed their teeth before Claude Hopkins (another ‘genius’ marketer) came onto the scene. I’m of the opinion that everyone has a story to tell and everyone has wisdom to offer. Emerson said he learned from every man and Lincoln took it a step further by saying in the least, he learns what not to do. In this regard, it was nice to see the author talked about self-reliance at the end. Fight Club in many ways, influenced me to become less of a consumer. In that sense, the marketing message from FC worked (irony?). I find it ties in with my natural sense to live a frugal/minimal lifestyle. That’s very interesting about Mr. Hopkins and I’m gonna have to put The Power of Habit on my to-be-read list so thank you for that recommendation, as well. Very interesting that you point out the message behind Fight Club. Marketing and selling doesn’t always have to be about tangible products, but rather ideas (such as those found in the movie) can certainly be sold, as well. Thanks for pointing that out because I hadn’t thought about it in that way, but you are definitely right. I haven’t watched the movie in several years so, while I enjoyed it, I didn’t really notice all of the nuances in the messages behind it. Now that I have a much better understanding of personal finance and consumerism, I need to watch it again, as I’m sure it will be a totally different experience. That’s why I love the information age that we’re living in – we can arm ourselves with knowledge to fight back against the lies we’ve been believing for so long. I really need to watch Fight Club again. I saw it years and years ago when it came out. Absolutely, Ernie. Education is key to fundamentally transforming how our society moves forward. 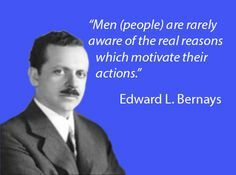 However, while those of us here in the PF blogosphere are at least somewhat more in tune with these tactics and how to (at least occasionally) avoid them, the masses at large are unaware and manipulated with Bernays’ methods that continue to be utilized, keeping them in a never-ending cycle of debt-earn-spend-debt REPEAT! I just read the article and it was astonishing how genius he really was during his time. He moved away from unconventional but got his point across. 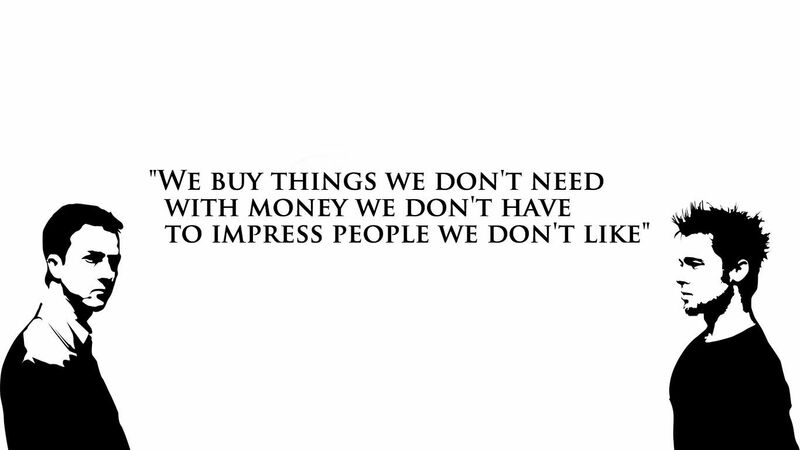 I can say that our society has become a society of consumerism. Companies have and can always find a way to entice people to buy their products, whether or not these products really are needs. These companies have become expert in convincing people that their products are needs ad not wants. Unfortunately, many people tend succumb into buying these products. Even when people don’t have money to pay for such purchases, they would still do it because they feel they need these products. Society has become entitled and conditioned to perceive “wants” as “needs.” People, in general, have no idea how to differentiate between the two categories and it’s as if they can’t manage to function without them, which is exactly why people stand in line to buy the latest/”greatest” cell phones and other gadgets….even if they have the last model and it functions just fine. You’re absolutely right that people make these purchases “even when they don’t have the money.” That’s why, according to nerdwallet.com, US consumers carried $733 BILLION worth of credit card in 2015. Yes…the power of advertising. When I worked in the floral industry, I used to watch the marketing department find ways to pull the consumer in by the color combination. Their theory was that certain colors evoked various emotions and if the right emotion was activated – we had a sale. I love Fight Club! I’ve been meaning to write a post based on Tyler Durden’s quote – “The things you own end up owning you”. We like to think we’re not identified by our things, but we really are. I am my laptop, I am my iPhone. I am the car that I just bought :). That’s really not a joke. Society and marketing have us so ingrained with the notion that we are identified by our stuff. And what’s even more sad is how true that quote really is. For instance, our Jeep payment owns about a full day-and-a-half’s wage of mine every single month. Granted, we “need” a car…but that’s roughly 18 hours of my life every month that I have to work to pay for it that could be better spent playing in the dirt with my son or cuddling up with my wife on the couch at night watching a movie.